It was 8 March, 2015 when Australia took on Sri Lanka in Sydney during the 2015 World Cup that the home team were cruising to a fine total with Steven Smith and Michael Clarke going at run a ball in the middle overs. Clarke's dismissal, with Australia on 175 in 32 overs, brought Glenn Maxwell to the crease. Smith departed in the next over to give Sri Lanka a go at two new batsmen. But what unfolded next was a spectacle for the Sydney crowd from 'Maxi'. He had already set the tournament alight with his stunning 39-ball 88, studded with seven maximums, against Afghanistan in the previous game. But this was Sri Lanka, a much stronger bowling unit. 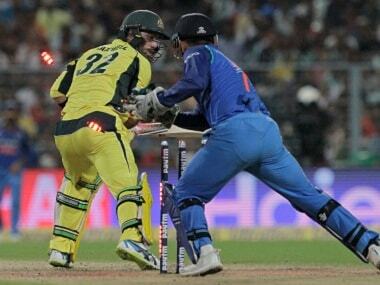 None of that — the opposition, the size of the ground or the colour of the ball — matters when Maxwell gets going. Between the 32nd and 46th overs, the Sri Lankan fielders barely got a glimpse of the white ball. 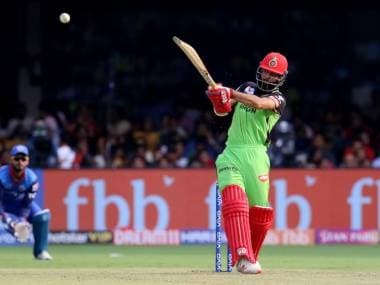 The rampaging middle-order batsman wrecked havoc with his mesmerising stroke-making and finished with 102 in 53 balls, all of his runs coming within 14 overs of the game. On a high-scoring wicket, it pushed Australia's total from good to exceptional. That is exactly what Maxwell was capable of doing. 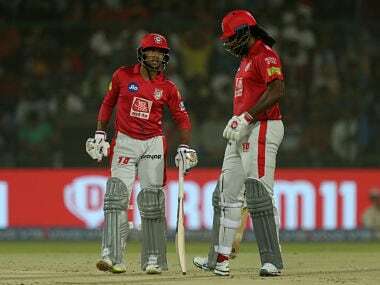 He might portray that odd moment of recklessness or have a wry smile after missing a stupid heave in the first ball of his innings, but on his day, irrespective of the opposition, Maxwell could alter the course of the game. At Indore, against India, in the third ODI of the series, the crowd witnessed another Maxwell, a totally different one. Six of his first eight balls were bunted to point with an angled bat. He was trying to guide the ball through the vacant gully area to third man and get off strike, but just couldn't get the shot right. Instead of playing to his strengths, Maxwell seemed to be conscious about getting singles. Off the eighth ball he faced, Bumrah gifted him a full toss just below the knee. The Maxwell of 2015 would have dispatched that to the square-leg boundary. On Sunday, he tamely patted it down to mid-wicket for no run and didn't seem to be bothered by it either. His first twelve balls yielded just five runs as the pressure mounted on Smith to go for his shots on a really flat Indore wicket. That led to the skipper miscuing an inside out shot to long-off against Kuldeep Yadav. 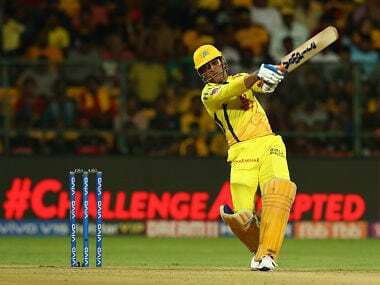 Maxwell, unperturbed by Smith's fall, chose the wrong time to launch his attack after a series of intention-less jabs and stepped out to Yuzvendra Chahal yet again, only to be stumped by Dhoni and leave Australia in complete tatters. It was his third dismissal against the leggie in three matches in this series. That is what the Glenn Maxwell of 2017 does. The X-Factor in his batting is disappearing at the rate of knots and his role in the ODI team is coming under heavy scrutiny, especially with Australia having found a good enough part-time spinner in Travis Head. "I always wanted to be an entertainer," Maxwell had said in an interview with Cricbuzz in 2016. That is exactly what is missing from his batting these days. He has a fairly self-taught technique but it obviously works for him. The free-minded, full-blooded manner in which he takes the attack to the opposition is something that gives him an edge over other competitors in the Australian ODI team. But unfortunately for him, that quality is quickly diminishing. Since the 2015 World Cup in Australia/New Zealand, Maxwell has made just 668 runs in 31 ODIs at a batting average of 27.83. There have been no hundreds during this period and just four half-centuries — something that goes a long way in revealing his contributions over the past two years. Cut out his nine home ODIs, and the record dips even further. In 22 ODIs outside Australia since the 2015 World Cup, Maxwell averages a pathetic 19.11 with a solitary half-century coming in 2015. This effectively means that in 2016 and 2017, the Australian has zero fifties in ODIs away from home. That is an appalling record for a batsman whose inclusion in the side is rarely debated. Yes, Maxwell provides a fear factor at lower down the order in an Australian batting lineup struggling to find finishers, but persisting with someone who has been performing miles below his capability belies logic. The emergence of Marcus Stoinis and Travis Head puts Maxwell under further pressure. Stoinis is quite capable of fulfilling that steely finisher role and Head can chip in with his handy off-spinners, yet another area in which Maxwell has faltered. His 80 overs since the World Cup in ODIs have brought just 11 wickets at an average of 41.72. With Australia also including Adam Zampa and Ashton Agar in their ODI teams, Maxwell's all-round role is something Australia can do without. 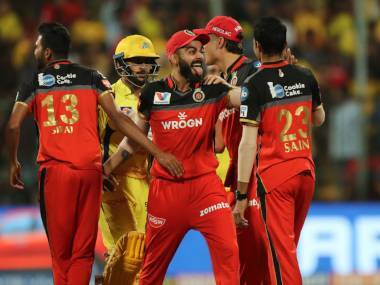 "Having that boundary ability is a massive advantage over a lot of other players and teams, because they just don't know where to bowl to you if you can hit the same ball to five or six different areas. I think that's a massive advantage, but also a massive disadvantage at the same point because you've got all these shots in your head," Maxwell had said in the above-mentioned interview. That he has the ability to put opposition in panic mode with his outrageous array of shots is unquestionable. But at the moment he isn't doing it. Like he had said, it could probably be a side-effect of having too many shots in his head. Until Maxi clears his head and goes back to his natural ways, his entertainment factor will take a beating and so will arguments for his place in the side.